Miss Clark's class enjoyed sharing the story of Goldilocks and the Three Bears this week. We have been building furniture for the bears using construction, making porridge, acting out the story using puppets and retelling the story. Miss Duffield's class have read the story 'The Teddy Bears Picnic' and have enjoyed making sandwiches, collaging large bears and having our own picnic. Please ask your child what they have enjoyed most about their first week of learning about bears. Reception children have recently started their daily dough disco sessions. During the session, we complete different actions along to music to support the children's fine motor development, which in turn will help to develop their writing skills. As you can see from our photos, the children love to pinch, poke, roll and squeeze their playdough. 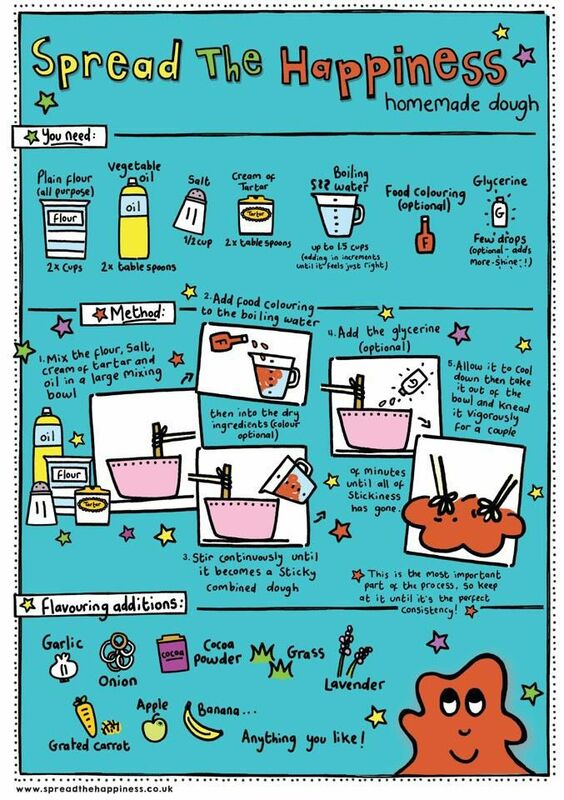 If you would like to have a go at home, there is a recipe for homemade playdough below. This half term Reception started our first learning unit called ‘All About Me.’ We have been getting to know the routines and expectations at school and sharing our interests. The children have enjoyed reading stories such as ‘But Martin!’, ‘Topsy and Tim Start School’ and ‘Hugless Douglas Starts Little School.’ We discussed the importance of making good choices and created our own set of classroom rules. We have enjoyed talking about being a good friend and loved hearing how ‘The Rainbow Fish’ shared his scales. We have worked together with our talk partner to create our own houses, rockets and sea creatures and have had lots of fun playing a variety of team games. Today we had a special school celebration. We joined in with lots of fun activities in class which included dancing to music, decorating a flag, role play restaurant with dressing up and making tiger plates. We also had a themed lunch for the day which was very tasty!